Mothers Love, Doe and Fawn Sculpture Garden Statue. 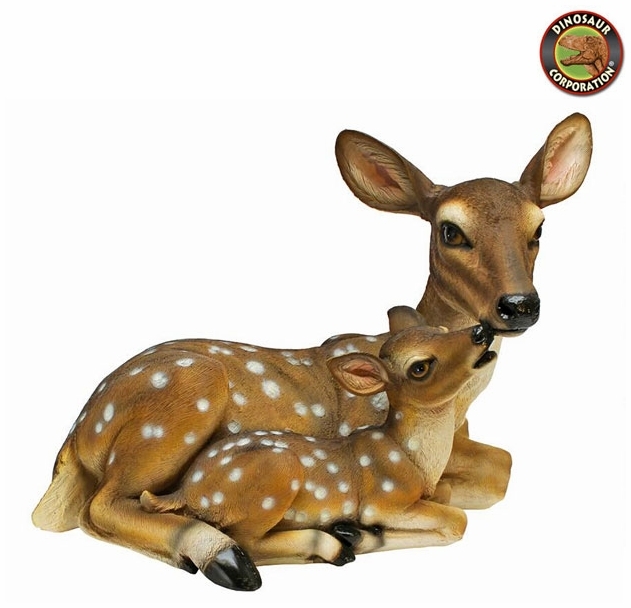 What's more beautiful and serene than the tender moments between a mother doe and her baby fawn? Realistically hand-painted with lifelike eyes that seem to bare their very souls. * Size: 19" W x 12" D x 14" H.